There are many different types of termites, below are the two most common to the Southern California climate. 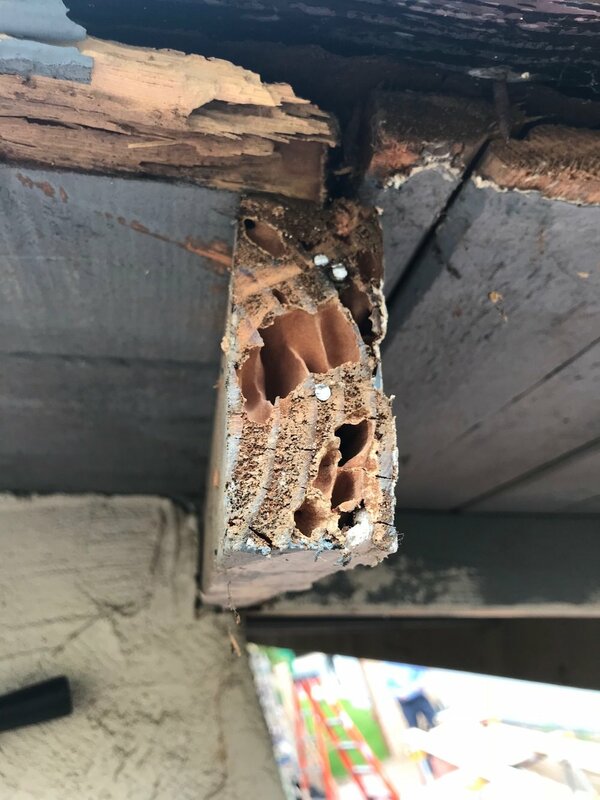 Common to Southern California, the Drywood Termite coloney nests directly in wood. They are frequently found in attics, roof eaves, decks, patio covers and just about any lumber in the home. They are very destructive and cause millions of dollars in damage each year across America. Their pellets are about the same size as a grain of sand but with a wood coloration. Subterranean termites live in underground colonies that can be 15-30 feet below ground and up to 100 feet away from a structure. They are typically found in crawlspaces, garages, patios, and around the foundation of homes. They tunnel through the ground by building unique mud tubes to gain access to food (your home) and to protect themselves, but they must travel back to the soil to retrieve moisture for survival.